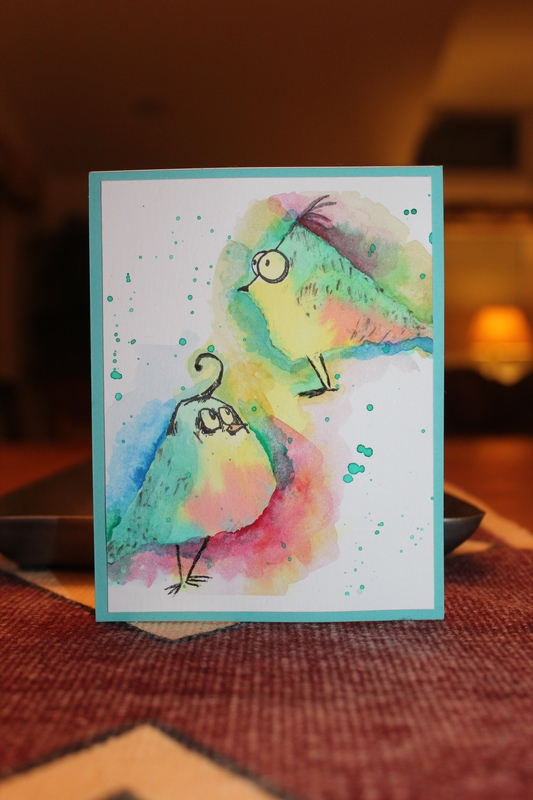 Posted on January 30, 2016, in Card Samples, Deb's (Oscar's) class samples and tagged Online Card class, watercolour. Bookmark the permalink. 3 Comments. I absolutely LOVE the color choices you’ve made with your paintings, They immediately caught my eye in the OCC gallery – my favorites! So cheery and bright – without getting the least bit “Muddy”. 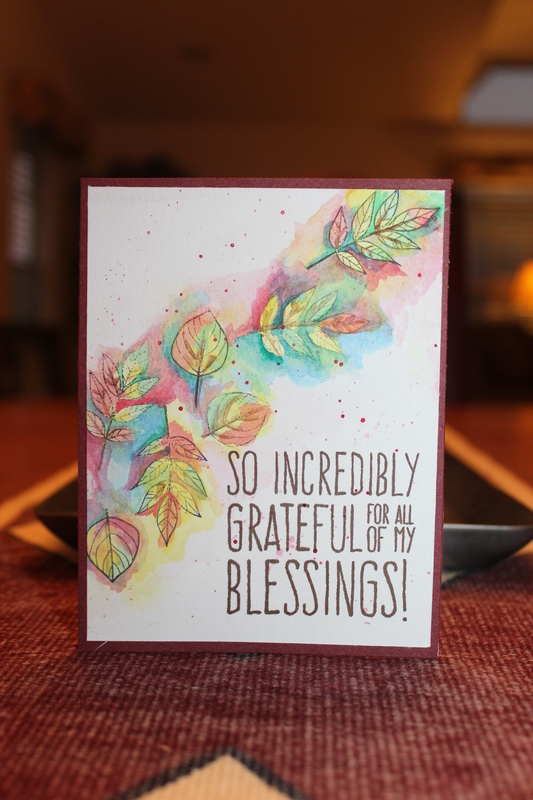 Great job – and lucky recipients of your beautiful cards! This is beautiful. Watercoloring is not as easy as it looks. I am by no means a master, but I do love to play with all my watercolor brands. Creating pretty things in color is my jam! I admire you for doing this and practicing. I love both of your cards. I never thought to use the crazy birds and those leaves are terrific. Great negative painting on both. I need WAY more practice.